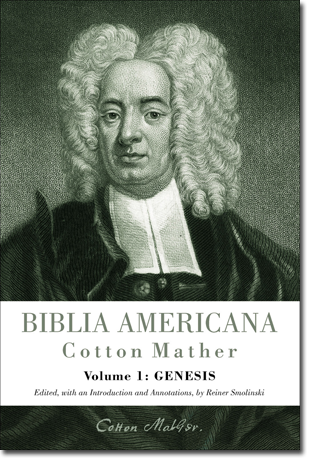 An interesting new resource for research into 17th century natural history has been made available this year in the form of the first of what will be 10 volumes of the monumental work Biblia American by Cotton Mather (1663-1928). The first volume coves this American puritan’s commentary on Genesis. Unfortunately the book is rather expensive ($150 with discount) but I have a copy on inter-library loan and hope to share some thoughts as I work my way through it over the next few months. What is most fascinating about this commentary is that it has remained unpublished since Mather’s death and only a few academics have had access to the thousands of pages of the original manuscript until this year. Because Mather was exceptionally well read in theology, philosophy and the science of his day, the commentary is an absolute amazing overview of the views and debates that were going on during the time of his writing (1693-1728). Since the late 1600s was a critical time in the development of science and the challenges that brought to the church a commentary that includes extensive literature review and analysis is of great value to understanding those times. The publication of the first volume is part of larger project to publish the entire commentary series. There is a web site where his works are being collected. It is called the Mather Project. Below is a portion of the description from that web page describing its purpose.